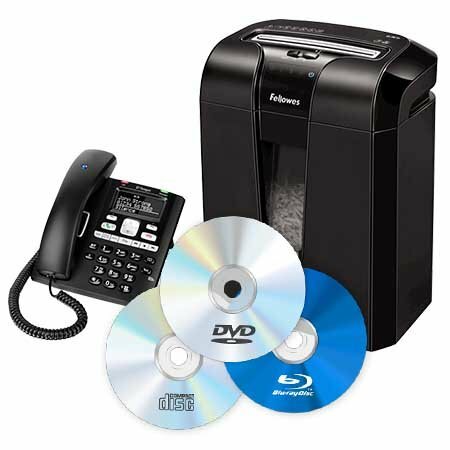 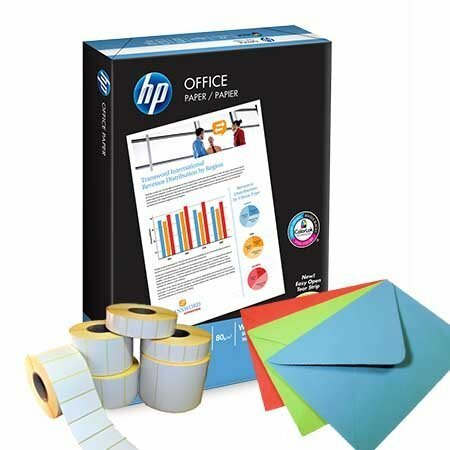 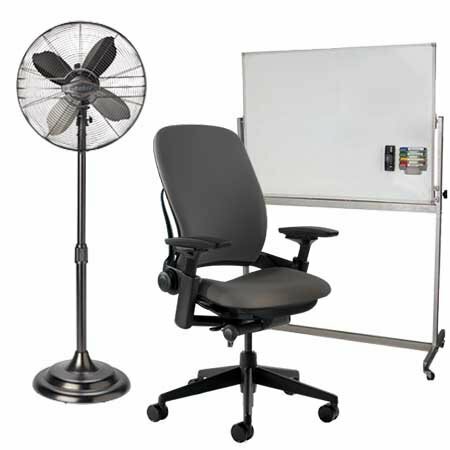 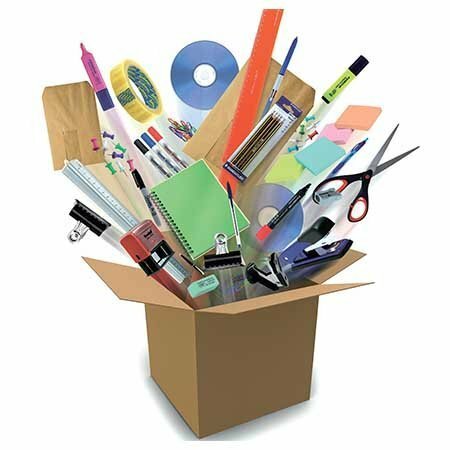 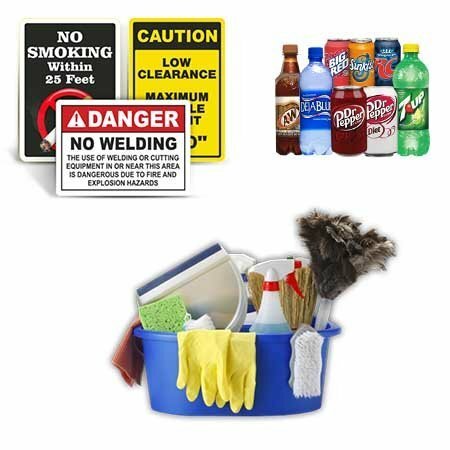 Can take staples, paper clips, credit cards, CDs, DVDs and BLU ray discs. 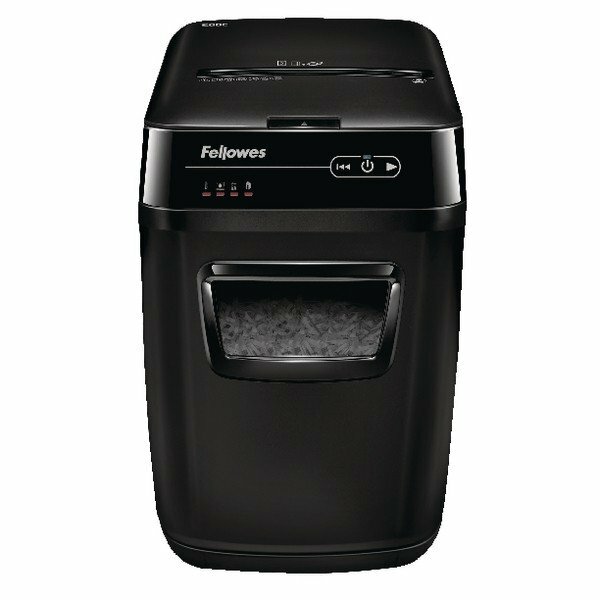 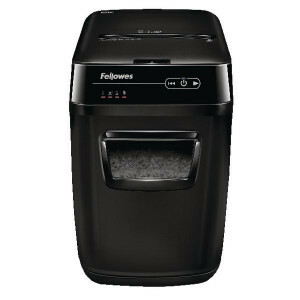 This efficient, high capacity Automax cross cut shredder from Fellowes will shred up to 200 sheets of 70gsm A4 paper into 4x38mm particles at a high security level of P-4. 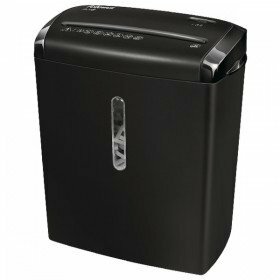 The machine will also shred staples, paper clips, credit cards, CDs, DVDs and Blu Ray discs for convenience in use. 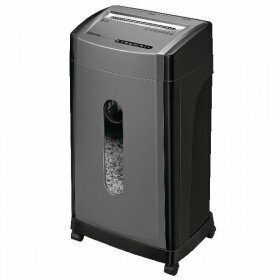 The shredder will safely enter sleep mode when not in use and has a 32 litre, easy to empty pull out bin.